Finally! An X Frame Banner Stand that can be used outdoors and stand up to even the harshest weather and high winds. With a heavy water base and an x Frame, you can have your banner stand with confidence and ensure it won't fly away. 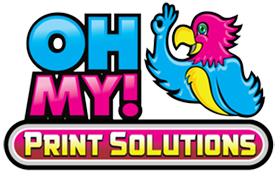 Excellent for store signage, festivals, amusement parks and more. Outdoor Banner Stands have a X-Frame Backing and come with a water base. They can stand up to all sorts of weather, windy and rainy conditions. They are excellent for temporary outdoor signage and come with your choice of a Vinyl or PVC Film Banner. Consider how long you will have your x frame sign outside, permanently or temporarily. While X Frame Banners are typically ok for temporary outdoor signage if the weather conditions are ok. A longer term solution is certainly the outdoor x frame banner stand. It’s certainly worth the extra investment instead of replacing your signage. If it is permanent we can print the banner UV Protected ensuring years of protection with virtually no fading! Discounts available for multiple orders. We ship for free to worldwide including Canada, and the USA. Wholesale pricing outdoor banner stand prices available.